KC Rally is a fun sport aimed at pet dogs and their owners who want to train together, learning to navigate a course of obedience style stations, having fun, improving focus & communication and even competing if they choose to. There are over 60 different stations across 3 levels, giving a limitless number of challenges and courses for dog and handler, this really is the sport that keeps on giving! 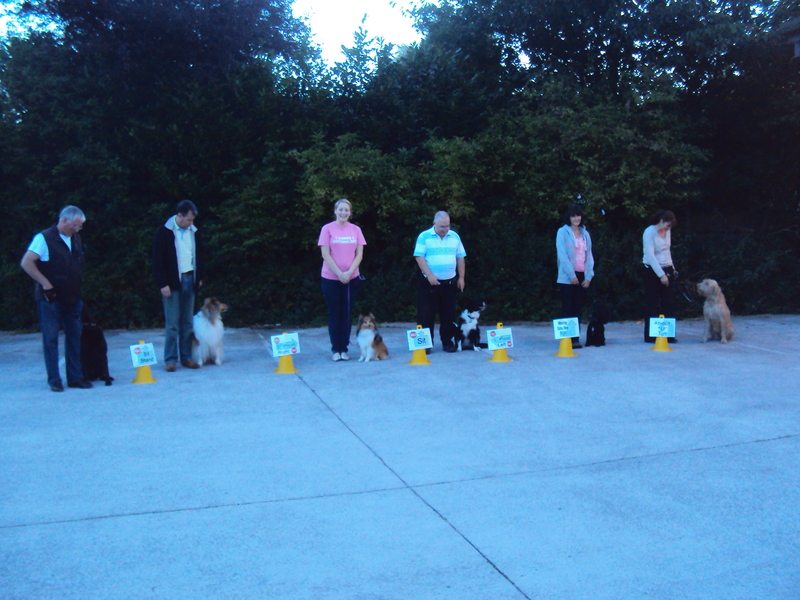 At Standish Dog Trainer we will teach you each station in turn, put these stations into a sequence for you and as your skills progress the challenges that you are able to complete will grow in size and complexity. Handlers of all ages and abilities are welcome to take part in KC Rally and there are no age or breed restrictions for dogs in this fun sport. The really good thing about KC Rally is that you can play with it and practise easily in your home, garden and out on your walks, no special equipment is needed. I have found that KC Rally can help to promote good communication skills between dogs and owners, increase dogs concentration on their owner and boosts dogs and owners confidence. Mental stimulation for puppies and dogs is very beneficial and can help your dog to relax and settle better when they are at home. Our classes run at 1.30pm on a Tuesday afternoon and 6.45pm on a Monday evening. All classes are in Standish, with indoor and outdoor facilities. Classes run all year round in 4 or 5 week terms. Each lesson costs £9 and are payable for a full term in advance. Regrettably dogs that are aggressive towards people or other dogs cannot attend. There are lots of KC Rally trials and competitions run locally and with the skills learned with Standish Dog Trainer you will be able to compete with your dog should you choose to do so. If you would like to know more or register for KC Rally classes, please contact Jo on 01257 423726 or email.